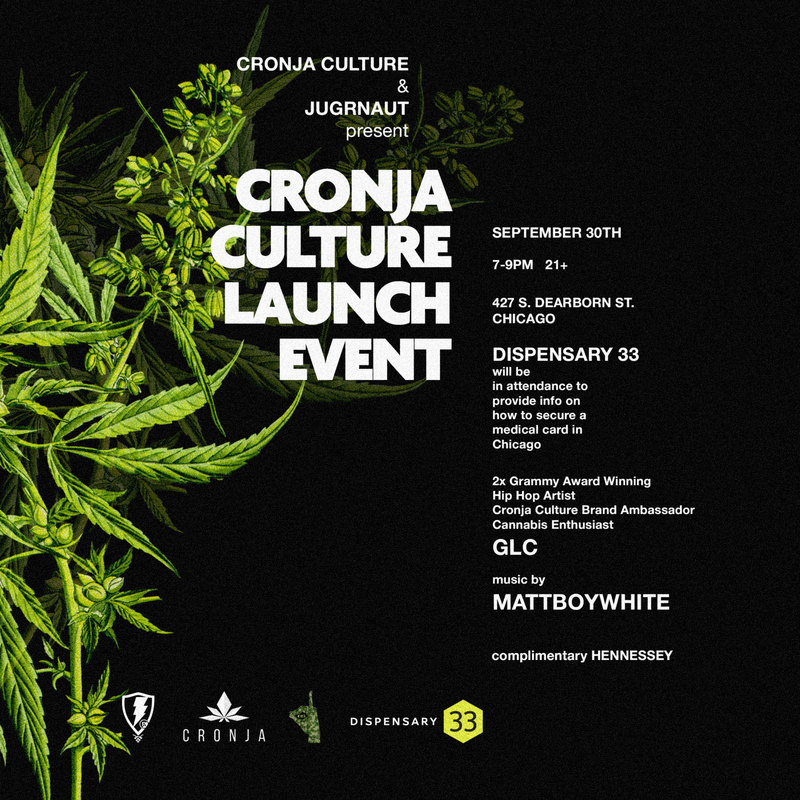 Join us Saturday, Sept. 30th from 7-9 pm at Jugrnaut for the official Cronja Culture Launch Event. Dispensary33 will be in the building to answer any questions regarding medical cards in Chicago. Come have some complimentary Hennessey drinks, meet GLC the brand ambassador and listen to Dj Mattboywhite.